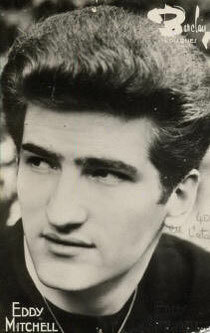 Claude Moine better known by his stage name Eddy Mitchell began his career in the late 1950s, with the group Les Chaussettes Noires (The Black Socks), taking his name from the American expatriate tough-guy actor Eddie Constantine (later the star of Jean-Luc Godard's Alphaville). 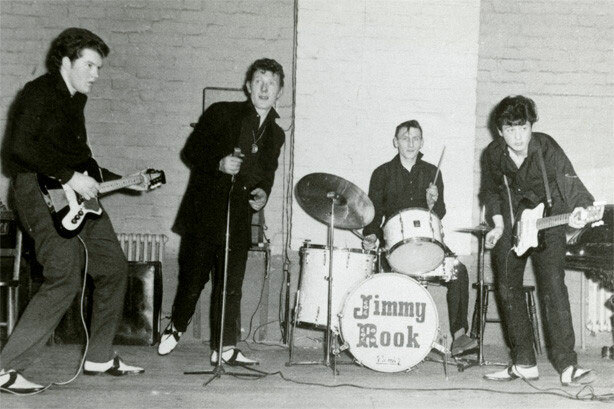 The band performed at the Parisian nightclub Le Golf Drouot before signing to Barclay Records and finding almost instant success; in 1961 it sold two million records. Heavily influenced by American rock & roll, Mitchell (who went solo in 1963) has often recorded outside France, at first in London, but later in Memphis and Nashville, Tennessee. 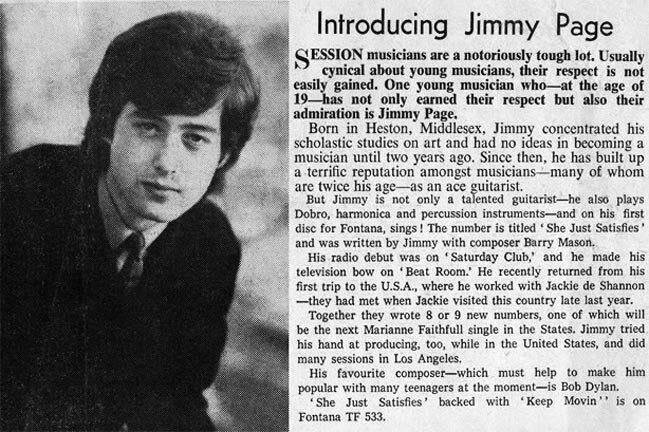 Guitarist Big Jim Sullivan, Jimmy Page and drummer Bobby Graham were among the British session musicians who regularly supported him in London. 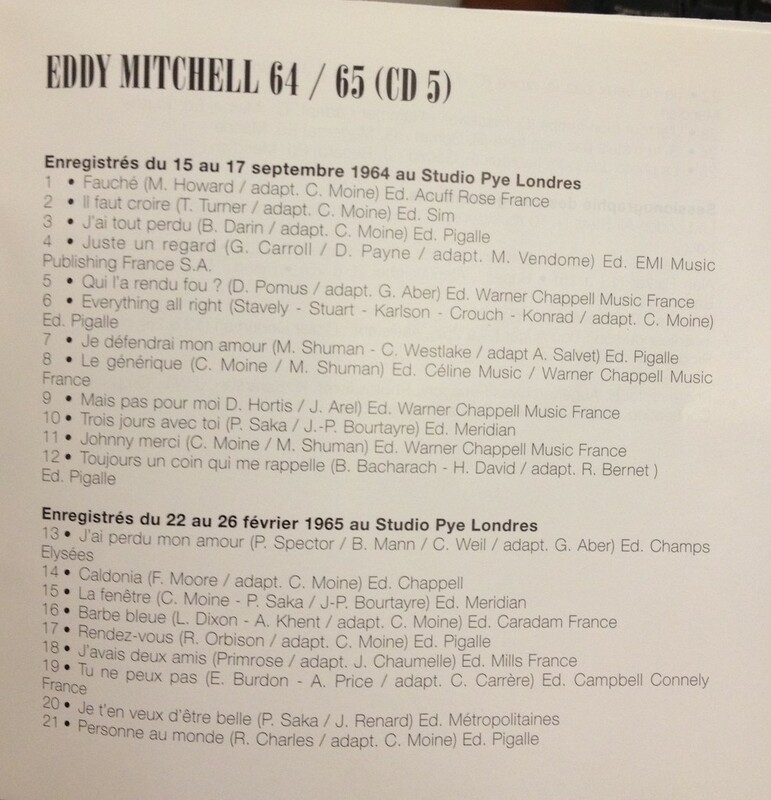 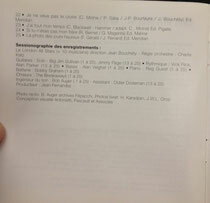 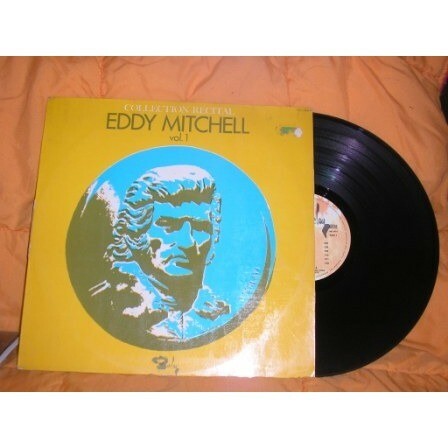 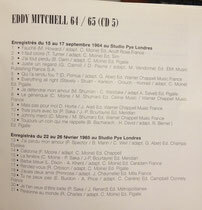 Page and Sullivan backed Mitchell on his version of Ray Charles "What 'd I Say" which is present on an obscure Barclay's album called "Eddy Mitchell ‎– Collection Recital Vol. 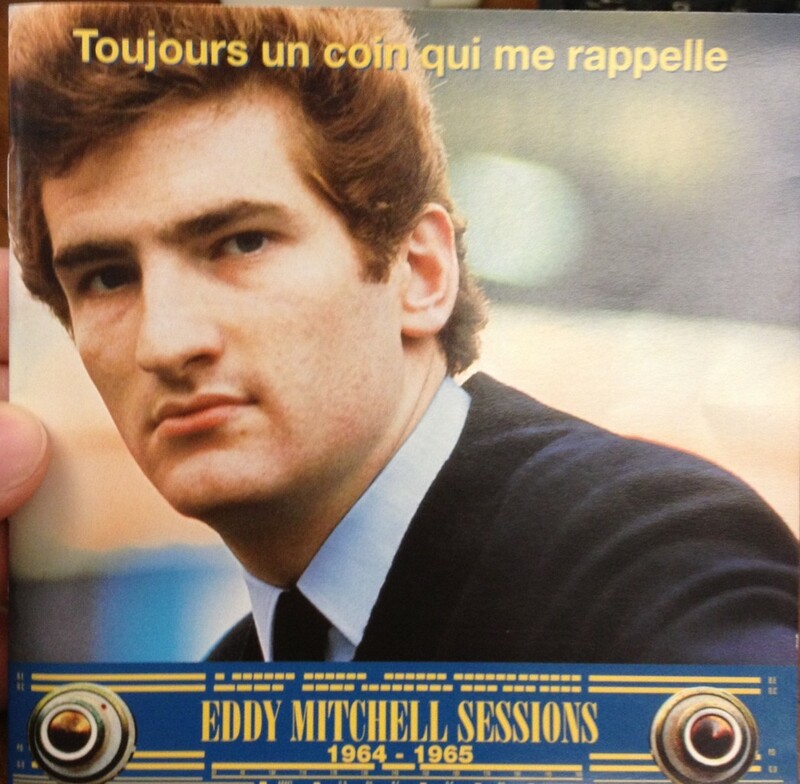 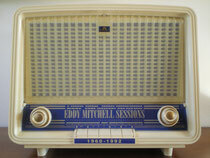 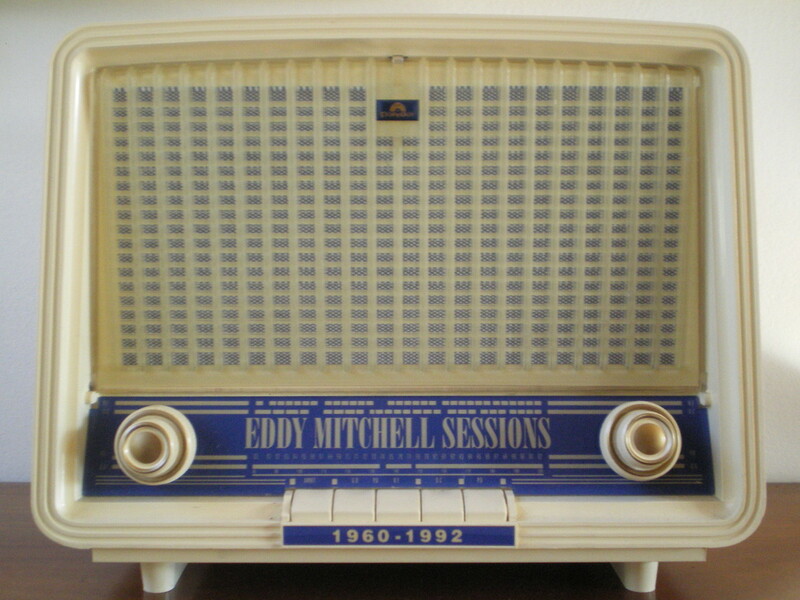 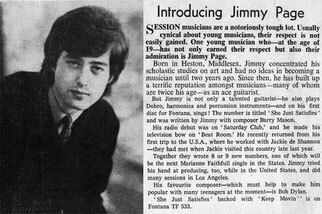 1"
In 1994 a 23 CDs compilation called 'Eddy Mitchell Sessions 1960-1992' was issued, it contains 13 tracks with Jimmy Page on guitar on CD n.5 along with Jim Sullivan and Bobby Graham according to the liner notes.